PORTLAND, OREGON – August 29, 2015 – Today 9 Bridges assumed ownership of the NW Book Festival from the Northwest Writers and Publishers Association (NWPA). The event, which happens annually in Pioneer Square in downtown Portland, Ore, attracts independent authors and publishers from all over the country. Held on the last Saturday in July, it has become a summer tradition in Portland for the last seven years. Information about signing up for the festival will be available in the following weeks on 9bridges.org. Space is extremely limited and will be reserved on a first come – first served basis. 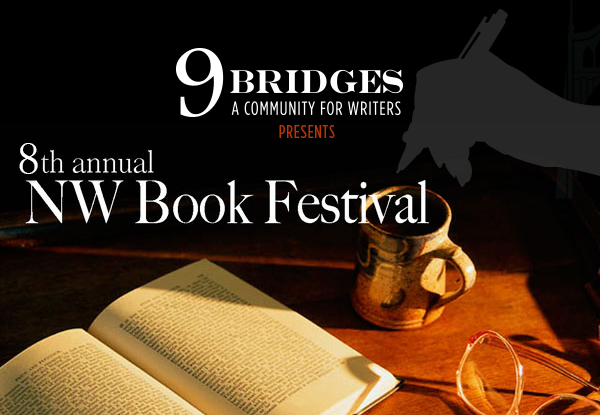 For more information, please contact 9 Bridges at NWBookFest@9bridges.org or visit our site atthe Northwest Book Festival. About 9 Bridges Writers Guild: 9bridges.org is dedicated to supporting writers in all stages of their journey to pursue their craft. In addition to providing peer review and support in the form of critique groups, 9 Bridges gives writers access to a wide community through workshops, write-ins, events, online forums and the promotion of events that are interesting and benefit our members.